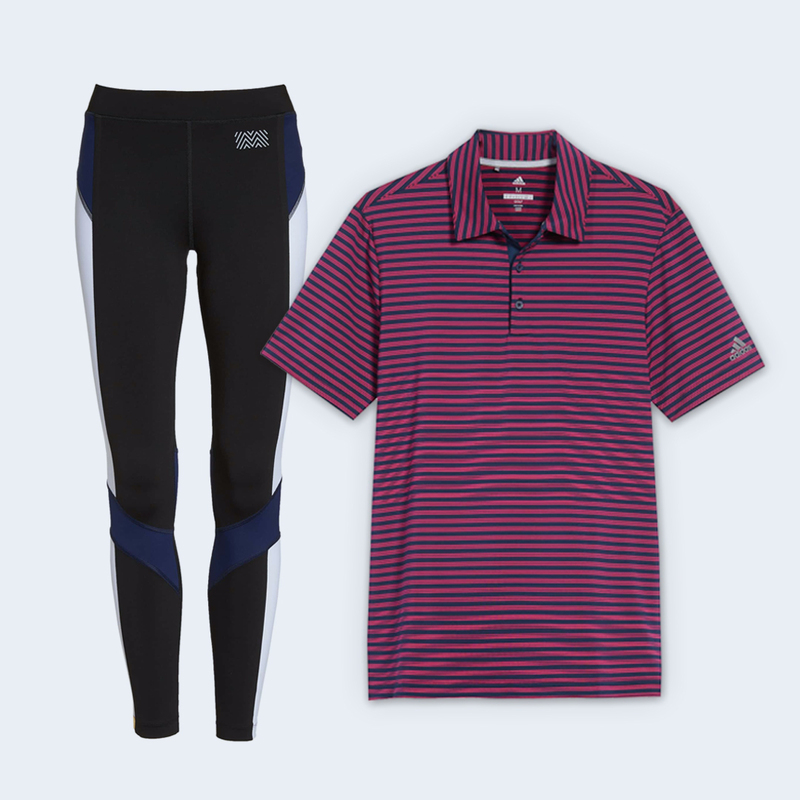 Brisk fall temps are ideal for enjoying the outdoors—you’ll just need activewear that keeps up. Whether you're heading outside for a run, a hike, or some serious fall foliage-gazing this season, stay equipped by investing in pieces that address your specific needs. 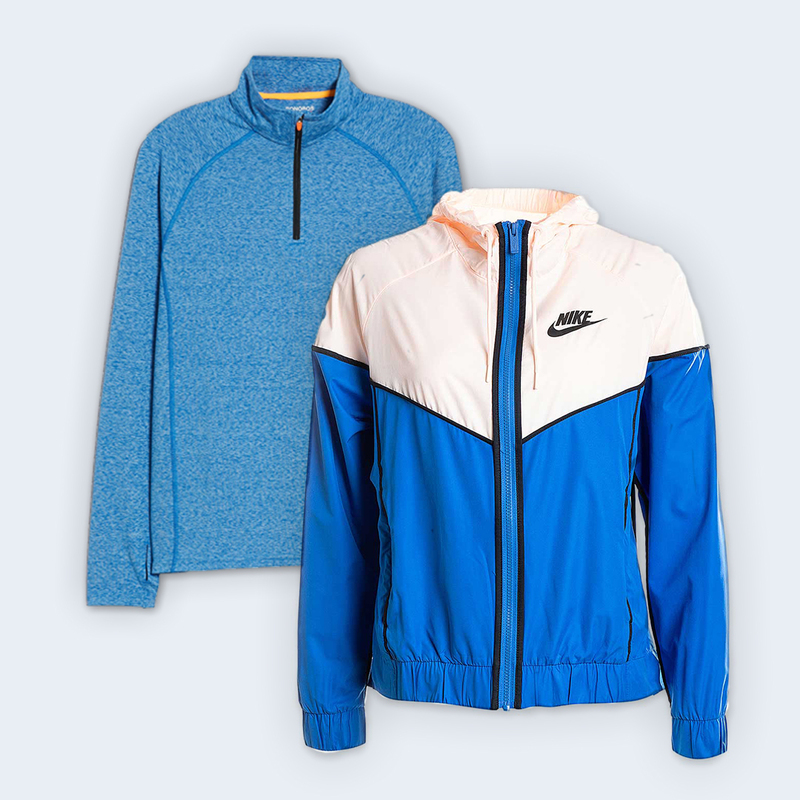 Some essentials on our radar include logo-branded classics like bright windbreakers, cozy hoodies in breathable fabrics, and high-tech separates that can help protect you from the sun’s rays. The common thread among all of our favorites? They’re made from materials that perform in various outdoor-active scenarios, so you can focus on enjoying your workout (or leisurely stroll). If you’re ready for some action, browse our top picks for fall activewear below… and get moving! This time of the year is known for chilly, wet temperatures, so a top layer that’s easy to wear is a must-have. Polyester is one of the best fabrics for this. It provides top-notch insulation despite damp weather, and its thin consistency means it won’t add weight. 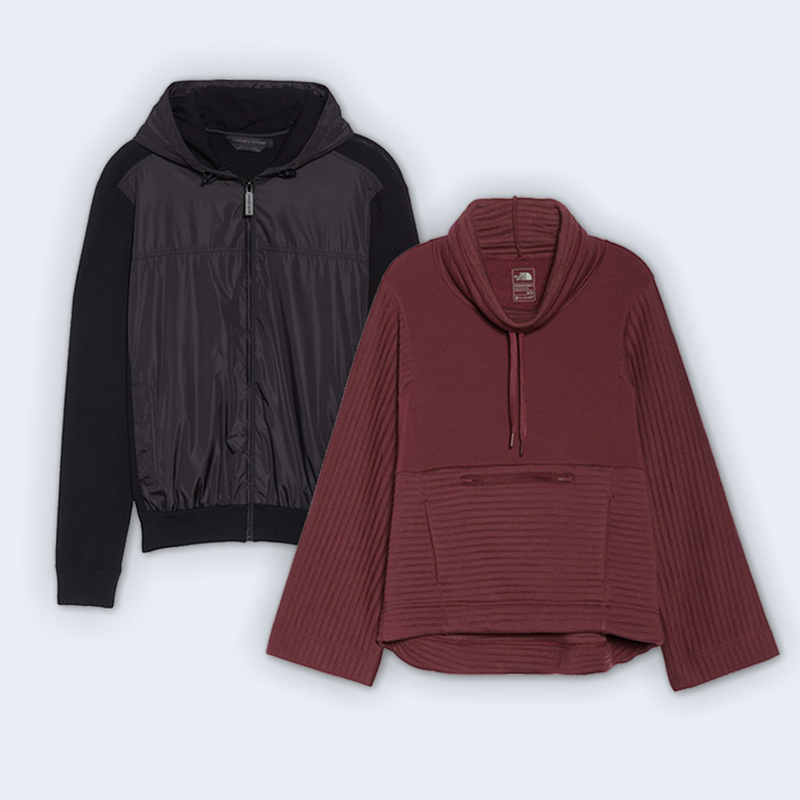 Try a breezy windbreaker jacket or half-zip pullover to lock in the warmth. 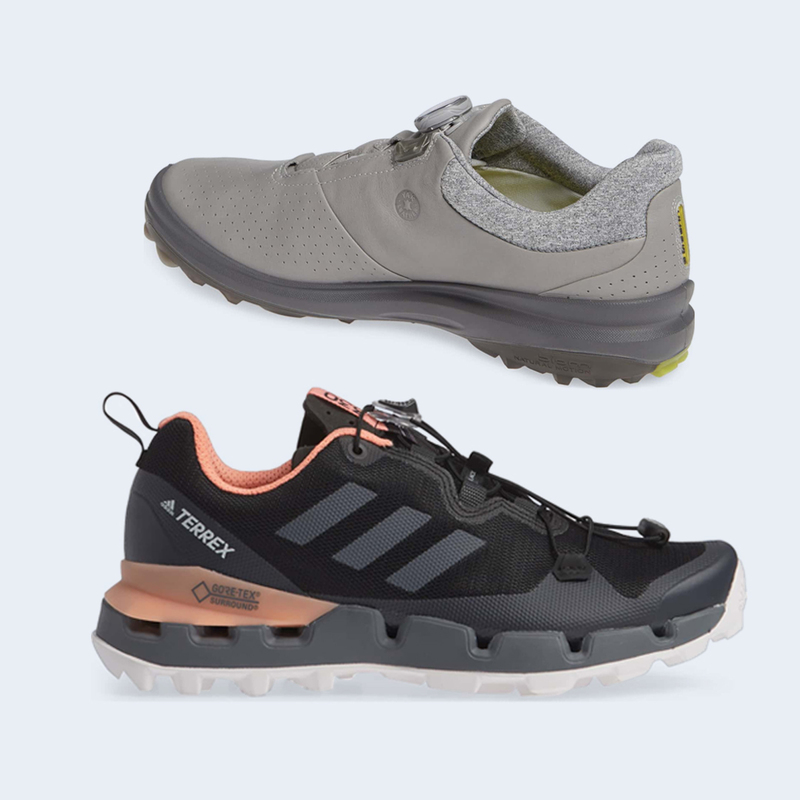 You could be splashing through puddles and mud as you venture into the autumnal outdoors, so a shoe that won’t let moisture in should be on the top of your list. Gore-Tex is a water-resistant material used in wide range of shoes and outerwear, especially for activities like hiking and golf. Find it in the active shoe that suits your needs (and then aim for the puddles on purpose). As we reviewed in our fall textile breakdown, wool is an MVP material when it comes to keeping warm. 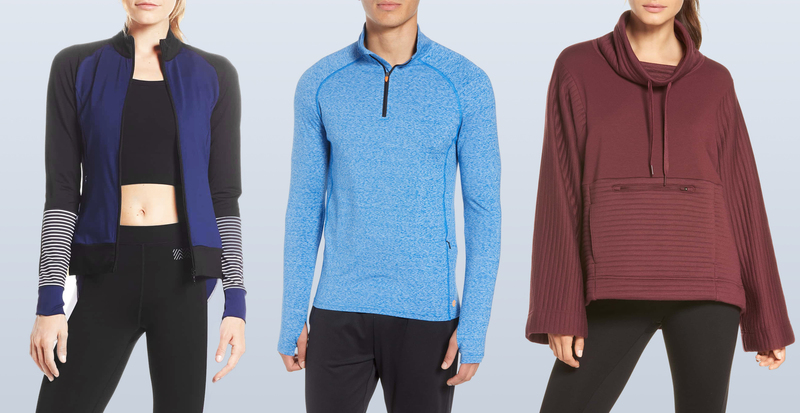 You may already have wool layers for daily use, but did you know it’s ideal for activewear, too? As a natural fiber, it provides breathability while insulating your body. It also comes in a range of weights, so don’t worry about adding bulk. Summer might be gone, but protection from the sun is a year-round consideration. Outdoor attire that’s outfitted with UPF (Ultraviolet Protection Factor—a rating system developed for sun-protecting fabrics) can help keep harmful rays from penetrating clothing. Make sure your basics, like tees and leggings, come equipped with this technology.